Has it been impossible to budget time and money for your health? 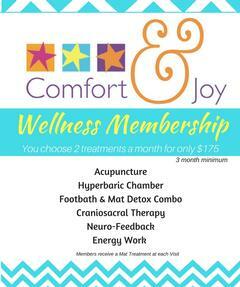 Our wellness membership makes self-care affordable, accessible, and easy to schedule! Each and every session will include time on the Mat that is valued at $30 whether it is specified or not. Membership requires a 3-month minimum and can then be canceled at any time with 30 days notice.